Seminar organised by Tewodros Seyoum (History and Heritage Management dept. Debre Berhan University), Dr. Ahmed Hassan (Institute for Ethiopian Studies, Addis Ababa University), Dr. Margaux Herman (CFEE/IMAF) and Dr. Amélie Chekroun (CFEE). This seminar launched in October 2015 brings together three research programs of the CFEE : ‘Historical Archaeology in Ethiopia’, ‘Writing of History and writing practices in the Horn of Africa’, and ‘Ethiopian heritage in the making’. Its central theme is a collective reflection on modes of transmission (of the past, of knowledge) as well as on topical issues related to the uses of the past and of History in Ethiopia. This seminar also deals with concerns regarding heritage : What should we preserve ? Why ? How ? Studies of the past, its vestiges and their conservation and meaning through time in History (including the contemporary period) are the main topics of the sessions of this seminar. The sessions of the current academic year are announced on the blog of the CFEE. 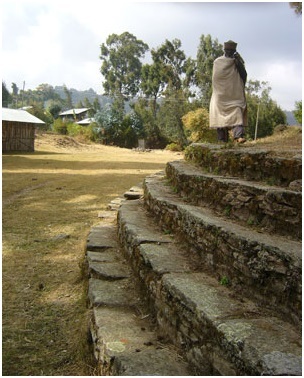 Follow all the news of the research program ‘Historical Archaeology in Ethiopia’ on the blog of the CFEE. Follow all the news of the research program ‘Writing of History and writing practices in the Horn of Africa’ on the blog of the CFEE. Follow all the news of the research program ‘Ethiopian heritage in the making’ on the blog of the CFEE.